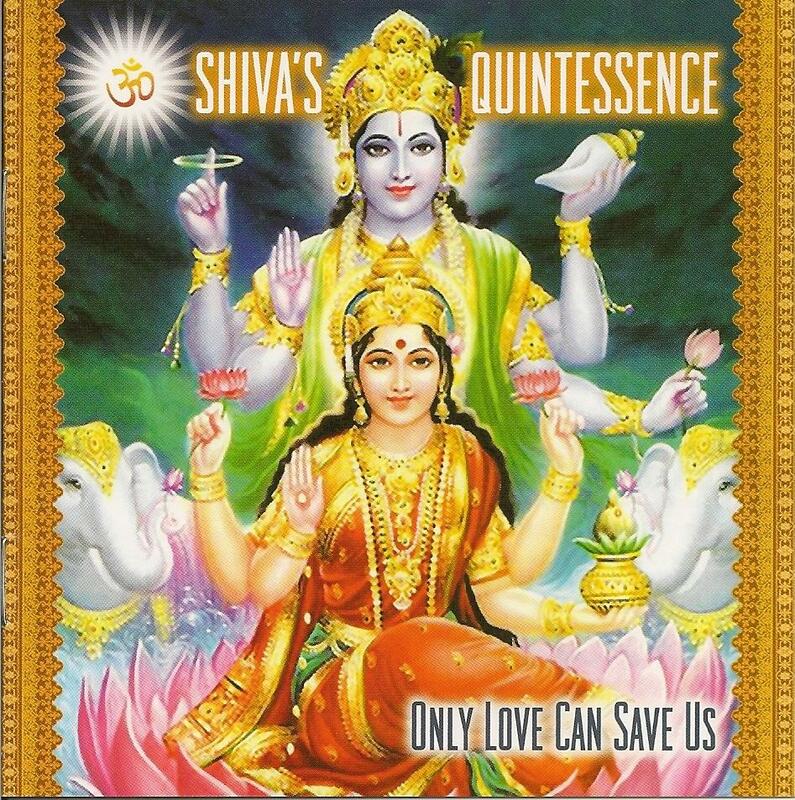 Shiva's Quintessence - "Only Love Can Save Us"
While searching for information about Quintessence on the internet, Swiss musician Ralph 'Rudra' Beavert made the acquaintance of original vocalist Phil 'Shiva' Jones. Email exchanges eventually led to serious phone conversations and Shiva Shakti, later Shiva's Quintessence, was born. The duo's goal was to reinterpret Quintessence songs, choosing those primarily written by Phil, and in some cases new Jones-Beauvert penned sections were added to the songs. Two CDs were released - the self-titled Shiva Shakti, (Mystic Records, 2003), and the 2-CD Cosmic Surfer by Shiva's Quintessence (Eclectic Discs, 2005). Both albums included Quintessence songs plus new material. Hux Records has now released Only Love Can Save Us, which compiles ten songs from those two albums, plus two previously unreleased Shiva's Quintessence songs. The CD opens with one of the previously unreleased tracks, Only Love Can Save Us / Mother Of Love Chant. It starts off with a soulful groove plus Phil's inspirational vocal style. Then about halfway through this 9 minute track we're treated to a brief spaced out electronic transitional bit, leading into a classic Quintessence Indian influenced sitar/tabla/chant raga. Quintessence classics like Notting Hill Gate and Giants are given new life by Ralph's electronic wizardry and spaced out injections. I love the contrast with the Bluesy harmonica on Giants. Cosmic Surfer has a Prog-Pop flavor. Jesus Buddha Moses Gauranga is the other previously unreleased track. It's a faithful rendition of the song, with a cool spacey electronic interlude, and ends with an excellent grooving jam and classic Prog keyboards. Parvati Devi is an Indian themed song with deep space electro grooves and colorings. Sun has inspirational lyrics and vocals, but with a country vibe. And Hallelujad is a peaceful, uplifting song. The last four songs, all Shiva's Quintessence tracks from the Cosmic Surfer album, really highlight the power of the original material. Reptilian Corporate Sign Language is among my favorites, being a 10 minute tune with cool grooves, stinging guitar licks and freaky alien synths that provide the musical pulse for Phil's lyrics attacking big business and its role in creating a mindless consumer culture. More social commentary is heard on the whimsical and well crafted New Age Breadhead. Dolphin Dreaming features space electronica and grooves with Indian influences and inspirational vocals. And But What Am I? includes some of Phil's most humorous lyrics and delivery. What really amazes me about the song is that it's got a Pop sense of melody, yet there's non-stop action with a variety of soundtrack voice bits and Ralph injects a banquet of electronic fun into the mix throughout. Excellent music and a really fun song. Phil and Ralph were really on to something with their electronic-raga propelled rendition of Quintessence classics, and combining these reinterpretations with new compositions really gave Shiva's Quintessence an original sound. I hope this Hux Records release helps to draw some much deserved attention to Phil and Ralph's accomplishments.